Our second installment of freshman files for 2019 is here and it’s a great read for all students, especially those considering engineering, math and science majors. 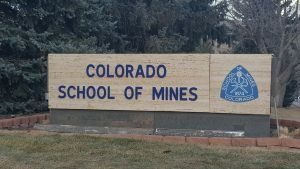 Our blogger, Katelyn, is an engineering student at the Colorado School of Mines, a public research university that specializes in engineering and topics related to earth, energy and the environment. I’m grateful that Katelyn is willing to share her experience with us and I wish her the best as she finishes the year strong! I especially appreciate Katelyn’s openness as she describes working through homesickness, developing strong connections to people and organizations on campus to overcome it. My first semester has been really good for me! I joined Kappa Alpha Theta on campus and am also very involved with Navigators, a Christian ministry on campus. A junior who is in Navigators mentors me, and I really love getting to know her. I also sing with our worship team! My classes are rigorous but not too overwhelming. My major is still Chemical Engineering, but I am very interested in possibly changing to Engineering Physics or Applied Math. Calculus 2 was my favorite class last semester because I loved the process of building skills and becoming good at things that I had never done before. This isn’t a surprise to me because I am finding that this rewarding way to approach math is the same way I approached singing and Latin, which I also loved. Yesterday was my first day of Calculus 3 and I was surprised at how much we have to do on computers computationally, but I have a sorority sister who is a TA for the class and she has told me that it will not be as hard as it seems right now. I am also taking Chemistry 2, Physics 2, and a class for the Honors Program called Innovation and Discovery in Engineering, Arts, and Science (IDEAS). Last semester I took Calculus 2, Chemistry 1, Physics 1, and the first half of IDEAS. The only course I would not recommend is IDEAS as it consists of many projects and assignments that do not relate to each other or to a major on campus. The class is designed to let students create art but, coming from a high school with strong liberal arts classes, I feel that I am spending a lot of time on assignments that are not making me a better person. It is quite time consuming and I personally tend to get frustrated when the projects are getting in the way of my STEM courses. That being said, there is no way for me to have foreseen not enjoying the class so I can’t say I could have done anything differently! Moving away from home was exciting for a few weeks, but as September and October came I was missing my old life. … I missed my family and I missed being in high school. I think this was inevitable as I had met many people but had not yet had enough time to build real friendships. As I got more involved with Navigators, these issues went away and I was less homesick. I now look forward to my Bible study every Wednesday and usually have plans to go out with friends afterwards. Next year, I am going to live with three other girls who also do Navigators. I cannot express how grateful I am for Megan, the junior who has been mentoring me through Navigators. I look up to how hard she works in school and try to be like her in situations where I am not sure how to act. … She also mentors my roommate, who is also my best friend in college. I am going to try to get more involved with Theta this semester since I have spent most of my time with Navigators last semester. I am excited for this semester, but more excited for semesters to come! 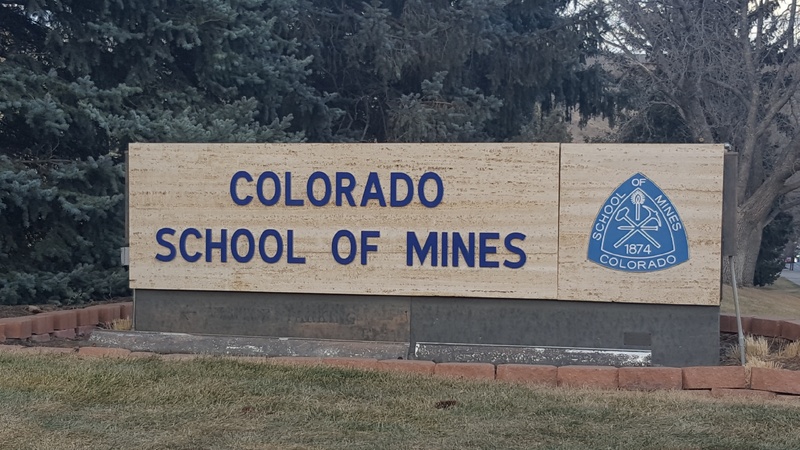 I could not be more happy that I chose to attend Mines. I love my new life in Colorado but am so grateful for everyone at home who helped me get to this place today! What’s the most important document in your college application? You already know the answer – your transcript! Colleges will review your course selection and rigor, in addition to your GPA, to ensure you’re prepared for college level classes. Course selection always entails a fine balance of challenge and manageability while continuing a strong and broad program of academic solids. Taking a difficult course load may look great on your transcript, but only if you’re able to excel. Your teachers’ recommendations and your own intuition will help you decide on the degree of challenge you can manage effectively. We’ve linked to an article below from Yale University as it contains excellent guidance on course selection for all students, not just those applying to highly selective universities. In addition to choosing classes for next year, many of you are studying for the ACT or SAT. It may seem like a daunting task but the winter months are a great time to prepare. 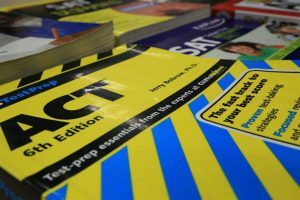 Juniors should all have a clear plan in place at this point for SAT or ACT test dates. As both exams are now offered in the summer months, some students are now incorporating a summer test date into their overall testing plan. A final note: SAT Subject Tests remain important for a small number of colleges, so be sure to keep an eye on admission requirements for each college of interest. Many high school sophomores and juniors (and their parents) want to know what courses to take to improve their chances for admission to Yale and other highly competitive colleges. With the caveat that every situation is different, here is some advice to help guide you as you make these decisions. The high school transcript is almost always the most important document in a student’s application. But it is hard to conceive of a situation in which the appearance (or absence) of any one particular class on a transcript would determine the applicant’s outcome. The admissions committee does not make its decisions based on a piecemeal review of an applicant’s recommendations, test scores, activities, or individual elements of a high school transcript. It considers each application as a comprehensive picture of that student. The recent warm-up after a bitter cold spell has me thinking that now is the perfect time for students to think about summer plans! The long break from school provides a perfect opportunity to explore your interests more thoroughly. Nothing matters more than a student’s growth during the high school years and by making great choices with curriculum, extracurricular activities and summer engagement, you can become a stronger and more compelling individual. A great bonus: you’ll also become a stronger and more compelling college applicant. I want to share an article from The Princeton Review titled, 14 Summer Activities to Boost Your College Application. Now, while I can’t promise that each of the items listed will “boost” your college application, I do know that having fun while also working on self-growth is a win-win. Did you know summer activities can push your college application to the “yes” pile? Colleges want to see that you are committed to extracurriculars throughout the school year, but they also love it when you are making the effort to expand and stretch yourself over summer vacation. What you do with your time can help you stand out from other applicants who have similar test scores and GPAs. What Should High Schoolers Do Over the Summer? 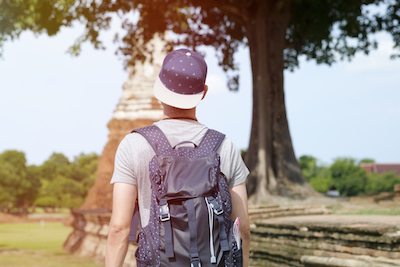 Your summer vacation is the perfect time for college prep and to explore potential careers. All summers in high school are important, especially the summers after sophomore and junior year. Check out these summer activity ideas that are fun, creative, and will make admissions officers take notice. Each year after the holidays I love to reconnect with past Shrop Ed students and check in on their first semester of college. This provides a great opportunity to share their experiences as college freshmen, shedding light on important elements of the transition from high school to college. Excerpts from their responses are extremely helpful to our younger students who will soon begin this journey as well, and I’m grateful to past students willing to share their thoughts publicly. The first freshman files excerpt of 2019 comes from Isaac, a first-year student at Dartmouth College, a small research university within the Ivy League. Isaac’s commentary provides a deeper understanding of the many extracurricular opportunities and academic resources available outside of traditional classes, so important to making connections which can improve any college experience immensely. Regarding Dartmouth, I love it here! The academics are in no way easy, but I’m finding them manageable this term. I’m doing very well in all of my classes (Intro to Anthropology, Computer Science 1, and my mandatory writing class) with the exception of a bump in the writing class … That being said, I did well on the last paper, so I think I’m getting the hang of it! I joined Dartmouth Humanitarian Engineering and am currently working on a project to improve the design of cots at a local shelter in hopes of preventing them from breaking so often to hopefully cut down on long-term expenses. I am also in Investment Club, SIBS (Big Brother Big Sister; I get paired with my Little in about a week and will meet them once or twice before break and then kick it into full swing once I’m back for winter term), and the Dartmouth Outing Club. I also opted to do a couple of supplementary classes. 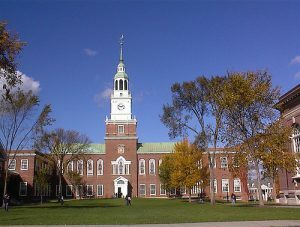 I did Learning at Dartmouth which is a 14 session long informal course to help improve study skills and help first years learn about all of the resources they have available to them. I also participated in a 4 session long Koru Mindfulness class in hopes that it would help with stress management. It went pretty well and I think helped some but wasn’t a cure-all solution for me. First Year Trips was an absolute blast! I loved all of my trippees and my trip leaders were great. I still often hang out with my trippees and keep in contact with my trip leaders. It was an amazing experience. Social life has been good too. I’ve made a lot of good friends who are really accepting of everyone. My roommate is one of my best friends. I really like him and we’ve both made friends through each other. We’re grateful that Isaac agreed to share his experiences and wish him continued success as he finishes his first year!